Are you considering moving to Red Deer? 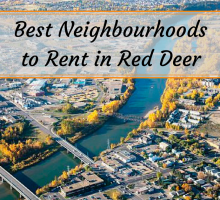 Have you heard of the most popular neighbourhood to rent in Red Deer? It’s South Hill. This beautiful community is wedged between Piper Creek and Waskasoo Creek and is completely surrounded by scenic green space. This central Red Deer neighbourhood is easily accessible to recreational opportunities as well as has everything you need, located along 50th avenue. In addition to the nature-filled area and high accessibility to amenities and services, it is a wonderful place to live. 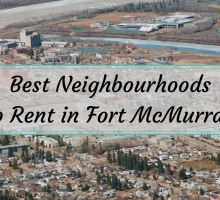 The homes in this area consist of apartments (such as the Boardwalk Rental Community featured on Rentfaster.ca), houses, and condos that are perfect for individuals looking for easy access to downtown Red Deer while being immersed in an active and gorgeous community. If you are looking to stray away from burgers and fries, why not try Las Palmeras? This Mexican food and cocktail casual restaurant is located just off of 50th Ave and is a delicious option for lunch and dinner. The menu features a number of Mexican styled dishes, along with some classic favorites. Las Palmeras has a wide variety of drinks on their menu, and also offers take out for those looking to dine at home. Need something to celebrate International Women’s Day with, or perhaps some flowers for a birthday? The Something Country Flowers and Gifts is a local shop found in South Hill, Red Deer. The shop sells stunning bouquets, plants, and arrangements perfect for any occasion! Simply call and place your order for a wonderful gift. Every community needs a place where you can pamper yourself. In South Hill, Kim Lu Nails & Spa is just the location to spend some quality ‘me-time.’ The spa has received numerous 5-star ratings from those in the community, and it is said to be a wonderful place to receive a pedicure! The spa also offers other services that include, acrylic nails, manicures, gel nails, nail art designs, airbrush, and waxing. Looking for the latest trends and hottest designs? Side Street Fashion in the southern part of the neighbourhood is a stylish clothing boutique. Known to have “a collection of modern timeless fashion pieces from over 100 designer labels,” this shop will have all of your seasonal ‘musts!’ The store even offers ‘Private Affairs’ that allow you to rent out the shop in the evening for an intimate personal shopping experience by yourself or with friends! The WorX Salon and Spa is just the place for all of your hair styling needs. The salon is equipped to help you with any beauty service, including: salt scrubs, wedding makeup, extensions, etc., as well, they sell a wide variety of recommended skin and hair products. Book your appointment and come away feeling even more beautiful! With the close proximity to everything, this Red Deer neighbourhood is booming with activity. The area is wonderful for those looking for a beautiful scenic view from their home, and the opportunity to explore the shops, as well as the parks and landscape around them. The area of South Hill is located near parks, which are beloved places for the whole family. The Rotary Park is one of the most popular in Red Deer and features walking paths, playgrounds, fire pits, and picnic shelters. Another popular park is Kin Kanyon – an area made for the whole family. The park has beautifully maintained green spaces, recreational amenities, playgrounds, and shale walking paths that lead you through the trees and near the creek. This natural feature of the community is great to live in for those with young families looking to stay active outdoors. 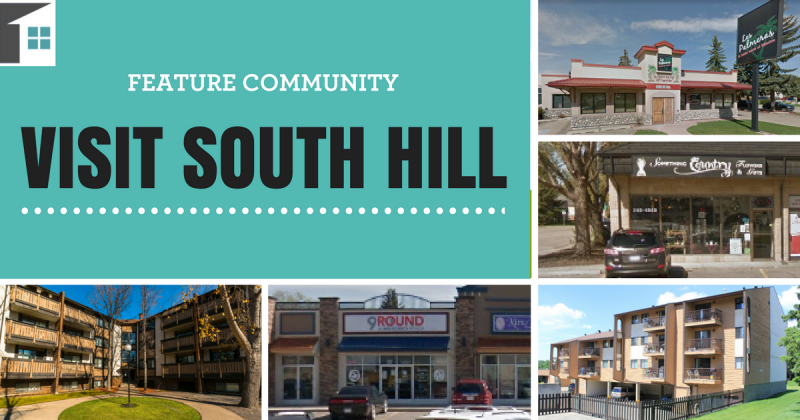 If you love to be close to nature, reside within the energy of the city, and live not too far from the downtown core, then South Hill is just the community for you. 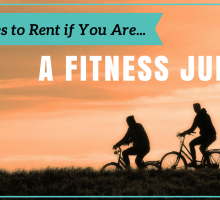 There are currently 25 rentals available on Rentfsater.ca, with an average rental price of $1,022. Consider renting a home in the South Hill community and truly love where you live! Check out Rentfaster.ca for more details on the available South Hill listings. Happy renting!